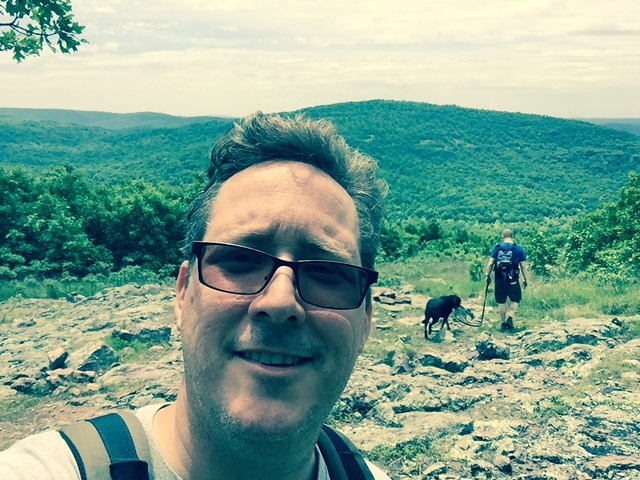 This is a picture of me in the St. Francis Mountains of southeast Missouri doing planning for our middle school summer field study class. As a middle school teacher, I often think about the experiences I had through my education that brought me to where I am now – what led to my passion for science and exploration. Giving students experiences, experts, and opportunities are essential to promoting a lifelong love of learning. When I learned about the Teacher at Sea program with the National Oceanic and Atmospheric Administration (NOAA) I eagerly applied. This is a tremendous opportunity to grow in my capacity as a science teacher, role model, and colleague. Best of all, it would be an adventure where I would learn lots of new things! I am very lucky to teach and learn at Maplewood Richmond Heights Middle School in a small, but diverse school district just outside of St. Louis, Missouri. We have a wonderful program of expeditionary learning at our public school. Our classrooms go from the watershed of our neighborhood, to the Mississippi valley, to the Appalachian Mountains, to the Gulf of Mexico. Through expeditionary learning, we can give students many similar experiences that led us teachers to enter STEM fields. Through field experiences and connections to scientists, students have opportunities to explore their interests and ignite passions. 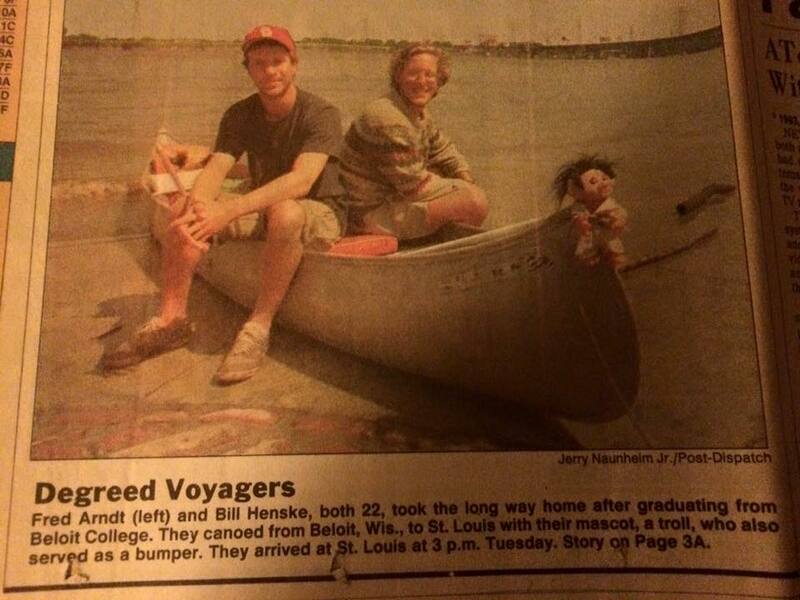 This is a photo from 1993 when a friend and I canoed from college in Wisconsin to my home in St. Louis. One of the important lessons we learn at our school from our study of watersheds during our 7th and 8th grade years is that we are really one giant watershed. The motto that “We all live downstream” is not just a metaphor for the way that our actions have consequences. “We all live downstream” is also very literal. My school community exists in the largest drainage area of North America, the Mississippi River. Our collective actions, whether they are positive or negative, have quantifiable effects downstream. The interconnected systems of the hydrosphere, geosphere, and atmosphere also connect all of us humans. Because these resources are “free”, they have gone a long time through Western history without the respect of economic value. Students across our country are confronted with the sad statistics of environmental decline. They are bombarded with figures and facts about the negative trend in marine ecosystems. What truly drives my and many other teacher’s passion is the opportunity to provide the next generation with the hope of science and research. These tools will help us define problems and propose solutions that can stop or even reverse the situation. This June I will be joining the crew of NOAA Ship Nancy Foster. 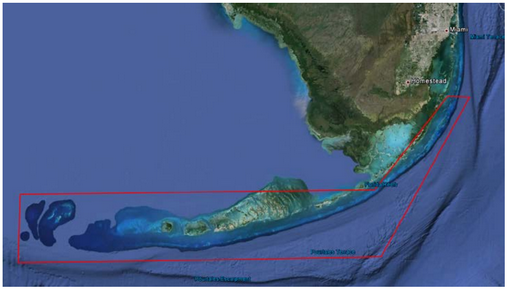 We will be cruising the Florida Keys National Marine Sanctuary and the Dry Tortugas region where NOAA scientists will conduct fish sampling and acoustic tagging in order to determine the connectivity of fish populations between the various geographic entities. This essential work will help determine the fragmentation or cohesiveness of different populations of marine organisms as habitat is protected but in fragments. It would be interesting to incorporate this information and the techniques used as we set up our yearly pond study back in Missouri. Do fish move from one side of the pond to the other? On this cruise we will also be deploying and installing the Integrated Tracking of Aquatic Animals in the Gulf of Mexico (iTag) array network. This system will help monitor the movement of marine organisms to determine larger scale movement of different populations and species. I can see this project leading to classroom lessons on population biology, genetics, and even speciation. The complexity of interactions between hundreds of species and dozens of distinct populations is truly astounding. Our scientists policy makers are often asked to distill this complexity down to a harvest number or population level. I want to bring back to my students the important role science has in, not only explaining the world around us but, shaping our future and helping develop or maintain the world we want. I am so excited to be a part of the Teacher at Sea program and cannot wait to share my work and experiences with my students and school community. Every year we take our 8th grade class to the Dauphin Island Sea Lab where we study the marine science that others have discovered. This August, when I go back to the regular classroom, I will be one of the folks who helped make those discoveries! As I finish this entry, I am thinking about how the coral, sponges, and mollusks of the Gulf will soon be filtering through the water that we floated through last week on the 11 Point River, here in Missouri. The water flows so easily and generously from the ground that an unfortunate majority here take its presence for granted. The water carried little bits of all of us, a connection, as it traveled its thousand plus miles to the ocean. On Saturday, June 14, I cycle myself through the atmosphere and hydrosphere to begin my adventure as a Teacher at Sea. Check back regularly for updates on our mission aboard the Nancy Foster and a taste of life on a research vessel. My students and I became part of the watershed this past week, floating towards the sea along Greer Spring Branch in southern Missouri. My students and I found a great way to cool off last week in Missouri. How long can you stand the 55º F spring water? 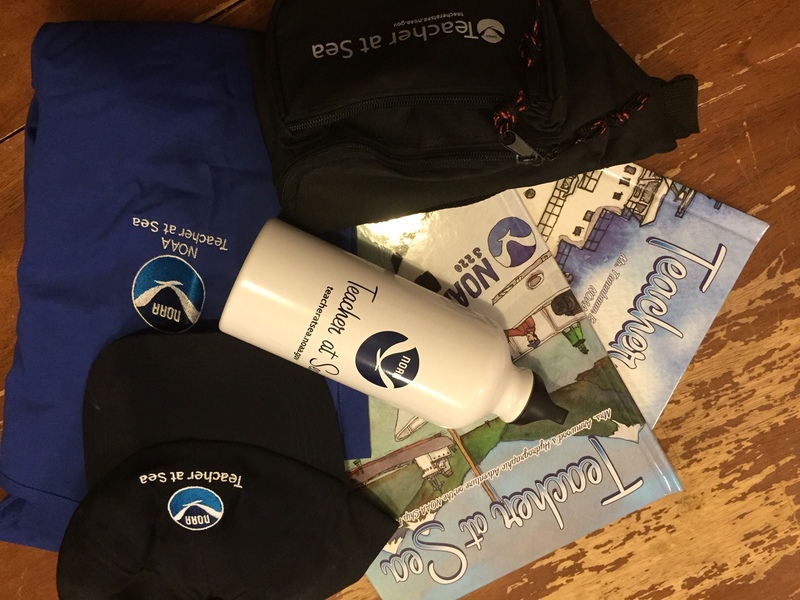 This entry was posted in 2015, National Marine Sanctuary, NOAA Ocean Service, NOAA Teacher at Sea, William Henske and tagged Dauphin Island Sea Lab, Dry Tortugas, expeditionary learning, Florida Keys National Marine Sanctuary, Maplewood Richmond Heights Middle School, Mississippi River, watershed. Bookmark the permalink. Maybe the water will be warmer farther south! Good Luck!